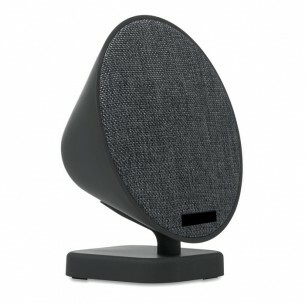 The built-in stand in this stylish printed Bluetooth speaker (2 x 3W) makes it highly practical. It has an amplifier for better sound quality, a reusable 400mAh lithium-ion battery, and comes with a USB cable for charting. It would look great on any desk or in the home, and your branding is clearly visible on the black aluminium plate. A great option for a branded item for companies in the tech and music industries. Print is included on the front of this product as standard - check with us for any other areas. This bluetooth speaker 2x3w 400 mah is made from mixed and can be purchased in black. Our speaker items are printed in up to 8 colours via pad print, which is a technique suitable for almost all artwork and shapes.